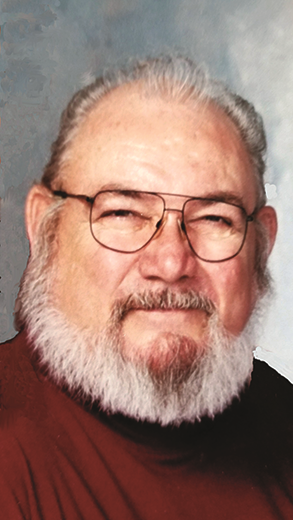 Robert D. Mason, age 77, of Brodhead, passed away on Thursday, March 14, 2019, at the Monroe Clinic Hospice Home, Monroe, WI. He was born on April 22, 1941 in Argyle, WI, the son of Loren and Irene (Lofgren) Mason. He married Patricia A. Kissane on Sept. 20, 1980 in Brodhead. Bob graduated from Argyle High School in 1959. He worked at General Motors of Janesville for 40 years, was a member of Local UAW 95 and retired in 1998. Bob also had worked at the Greenwood Cemetery, Brodhead, WI. He enjoyed collecting toy tractors, working on cars and could fix anything! He is survived by his wife Patricia, his children, Duane Mason, Monticello, WI, Scott Mason and Shelly Rufer, both of Brodhead; stepchildren, William (Kelly) Peterson, Monticello, WI, Stacy Aguilar, Brodhead; a brother, Steve (Vicki) Mason, Brodhead; six grandchildren and four great-grandchildren. He was preceded in death by his parents, a brother Dennis, and two grandchildren, Madelyne Peterson and Ashtian Rufer.